Epicworks – An amateur visual novel studio that focuses on producing action and psychological visual novels. An amateur visual novel studio that focuses on producing action and psychological visual novels. Epic Works is an Indie studio that creates action packed yet dark tales in the form of visual novels, novels and narratives. With our leadership based in the far off West African country of Ghana, we inspire some of our own local culture into our writings, mixing it with the western frameworks, in effect creating a mural of ambient diversity. Our first project, Episicava is on sale on Nutaku, Steam and Itch.io. It is the first installment in a collective universe called the ‘Origoverse‘, a multiverse linking certain key projects to a larger one we have planned. Episicava Vol.1 features 10 to 12 hours of playtime as well as over 40 original CGs for battle, events and of course, 18+ moments. Episicava will be released as a trilogy. Volume 2 will begin production in 2019 depending on funding and available manpower. Rainbow Dreams is our second installment in the Origoverse and a short action packed tale featuring Godhood. It explains more of the Origoverse and touches deeper into the theme of it, while maintaining it’s own plot. It is a commercial project, to be sold on all available platforms, published by Tophat studios. It will be in two volumes, the first light-hearted and tinged with a strong amount of action, while the second would be heart-wrenching but also maintain some fighting elements. Each volume is planned to be playable for at least 3-4 hours and at most 5 hours. It has a planned amount of 12- 15 Backgrounds per volume, 10-15 CGs per volume and 10-12 BGM per volume, not counting those that carry across. It’s release is undecided and development is underway. Currently, the project has no page on the site due to a lack of assets. 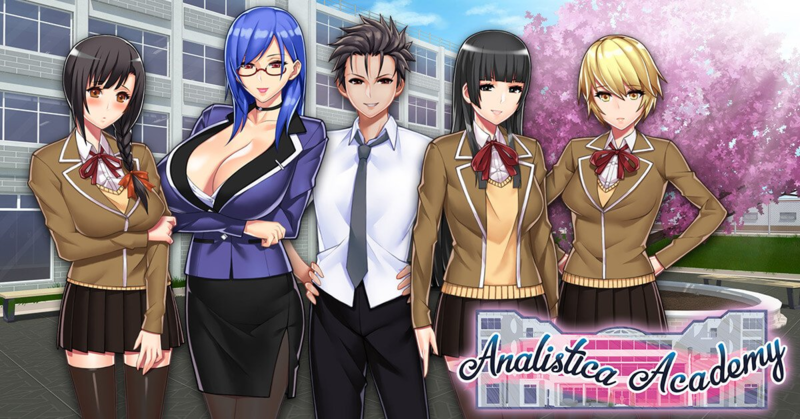 Analistica Academy is a short raunchy comedy featuring a strong sexual theme. It’s position in the Origoverse is undecided. It features around 3-4 hours of play and has a total of 13 Backgrounds, 13 soundtracks and 25 CGs. It has been released on Mangagamer, Steam, Nutaku, Jast USA and itch.io with more platforms under consideration. ADV tale is a VN/RPG hybrid with a niche style of gameplay focused on quest progression. With an intricate story – mixed with bouts of comedy similar to Analisitca Academy – ADV tale promises to keep players riveted to their screens. With a focus on the romanceable girls in the cast, ADV tale boasts a good amount of artwork along with a substantial amount of gameplay with good replay value. ADV tale is commercial and would see publication on various platforms unconfirmed for now.